When was the last time you updated your apartment décor? Last month, last year, three years ago? Regardless, refurbishing your apartment in these five small ways can make a big difference and leave you feeling newly confident and happy in your home. A sofa is the main piece to any living room, so why not make it stand out? Adding high-quality throw pillows that make a statement is a simple way to make your living room pop. Try playing with textures and stitching to find the perfect match for your space! Sites like Wayfair.com and Pier1.com have beautiful, affordable options in all shapes and sizes. 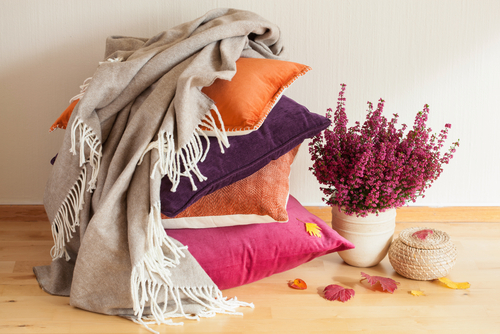 Pair your pillows along with a soft, cozy blanket that carries the same color themes and voila, your living room is transformed! Prints and posters are an easy way to get our favorite art into our homes at an affordable price. 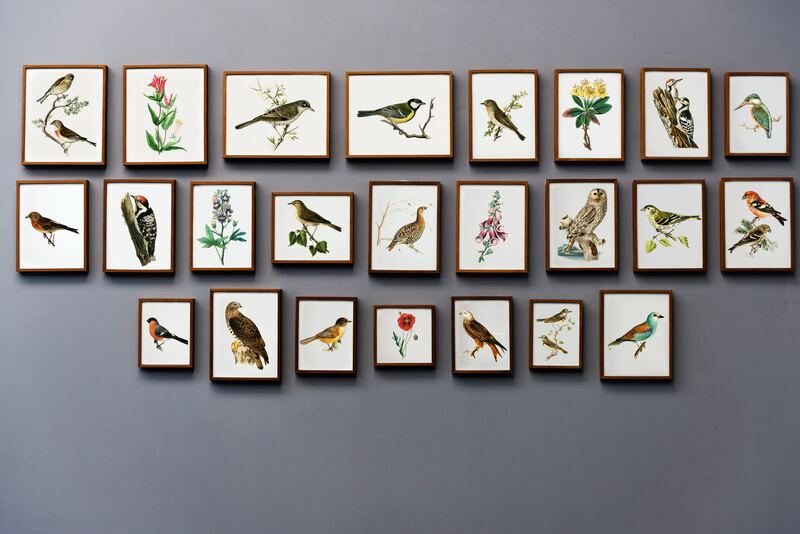 However, most people leave their pictures unframed, instead tacking them up wherever is accessible in the moving craze – not to be touched again unless they fall down. Unframed prints look unfinished. Adding a simple frame can really transform your picture – making that Monet poster from the museum actually look worthy of Monet! Take the time to measure your piece and go out and get a frame. It’s worth it! 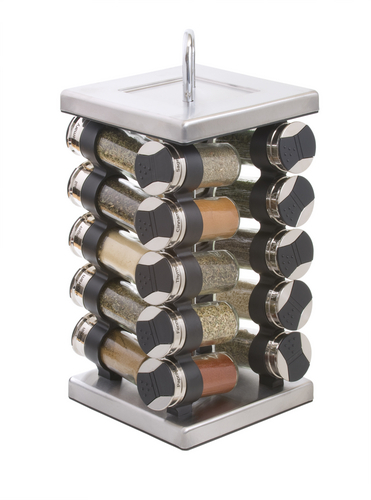 Investing in a spice tower can really beautify your kitchen countertops and drawers to get rid of unwanted clutter. No more random jars with mismatched labels! Some spice racks even come with free refills, like this one on Amazon which refills for five years! Cooking will be more fun, too! House plants bring life into your space, but only if they’re still alive! 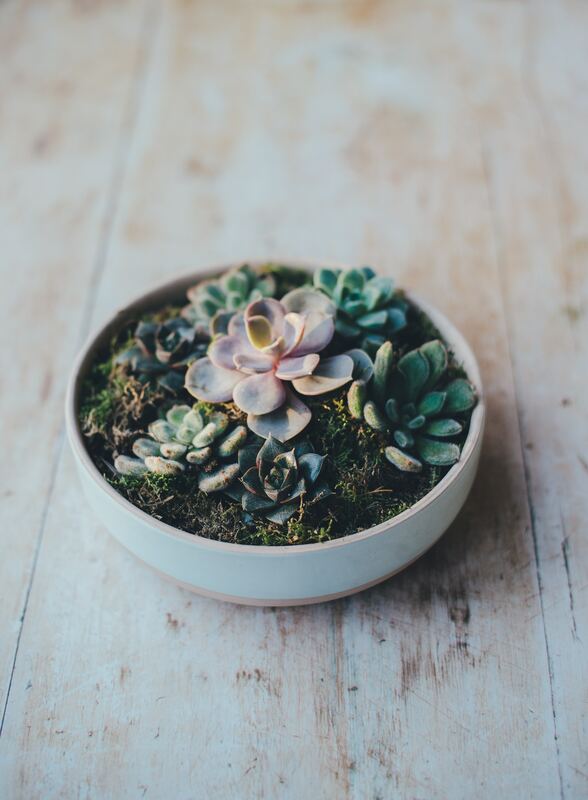 Succulents make great house plants as they require little care and there are so many varieties. Did you know you can buy plants from Amazon.com? Check out this 20 pack of succulents for only $40.00! You can decorate the whole house with this collection. A beautiful shower curtain can transform your bathroom from something drab to something fab. Check out these options from Wayfair.com to bring your space up a notch! So there you have it! Five easy tips to liven up your apartment that don’t require anything other than an online order. Happy shopping! This post may contain links to external websites that are not provided or maintained by or in any way affiliated with juniperspringsapartments.com Please note that juniperspringsapartments.com does not guarantee the accuracy, relevance, timeliness, or completeness of any information on these external websites.